What’s your favorite apartment building on Pennsylvania Street? 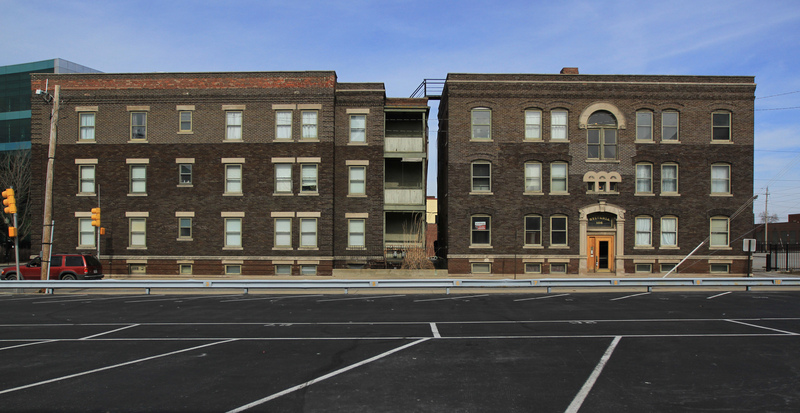 Many flats, including the Sylvania and Glencoe, are listed on the National Register of Historic Places Apartments & Flats and are also included in the NRHP St. Joseph Neighborhood. Did you know that the Apartments & Flats nomination is the largest historic district for apartment homes in the United States? These structures received a great deal of TLC when 25% tax credits for rehabbing historic homes was still available on a federal level in the early 1980’s. The St. Joseph neighborhood is a very unique space to Indianapolis – bounded by I-65 on the north, North Street on the south, Pennsylvania Street on the west, and Central/Ft. Wayne Avenues on the east. At the time of the historic district nomination, 23 of the structures were already listed on the NRHP under different categories, such as Apartments & Flats. In the article “District Hopes Designation Spurs Progress,” Kathleen M. Johnston reports that the historic designation (the ninth neighborhood granted designation in Indianapolis) allows the neighborhood and the city to have more control in handling proposals related to design, zoning, and demolition (Indianapolis News, 6/15/1990). These 14 city blocks just north of the Mile Square were walnut groves and farmland in the 1840’s. In the 1850’s, the land was platted and by 1866 the area was nearly built up. Three structures built before 1870 remain: a frame house at 215-217 10th Street (c. 1860), a frame house at 238 St. Joseph Street (c. 1865), and a brick commercial building at 926 Alabama Street (c. 1866) (NRHP for St. Joseph Neighborhood, 1988). By 1885, the area was fully developed with one and two story homes making up the majority of the area; these were mostly simple middle-class frame homes (NRHP for St. Joseph Neighborhood, 1988). The single family home majority dropped from 88% of the neighborhood in 1887 to 71% in 1914, due to the most part by apartment buildings – today that number is down to 26% (NRHP for St. Joseph Neighborhood, 1988). 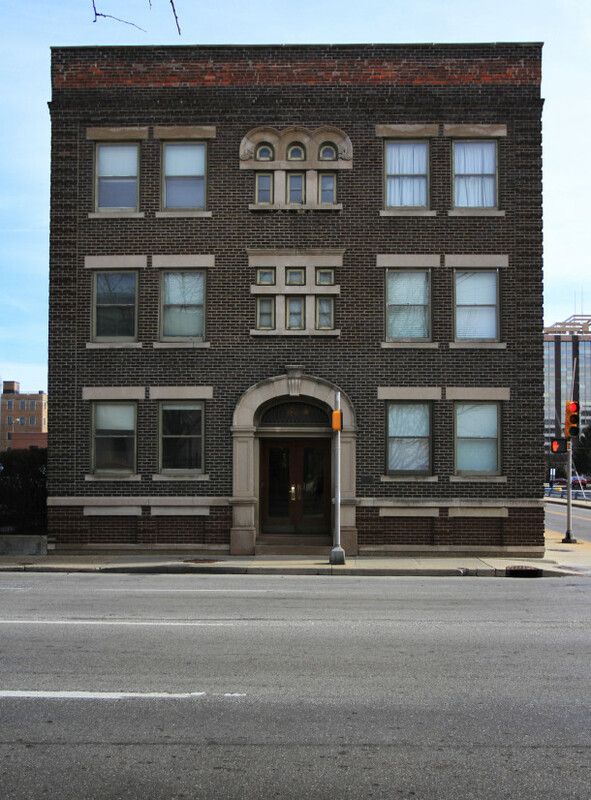 The Sylvania, located at 801 North Pennsylvania Street and 104 East St. Clair Street, was built in 1906 by Elizabeth Palmer. 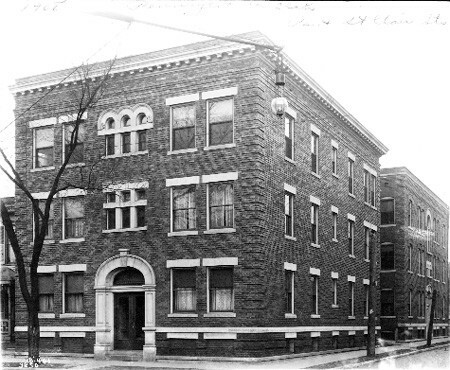 Palmer was a wealthy widow who arrived in Indianapolis in 1895, and created the 12-unit Eastern-flat two structure complex as an investment property (IHPC St. Joseph Historic Area Plan, 1991). In 1900, Palmer and her two adult daughters lived in an Italianate home at the corner of St. Clair Street and Pennsylvania Street (NRHP Apartments & Flats, 1983). One building trend at the time was to demolish a large family home and build a three-story apartment as an investment. Newell Lodge demolished his family home a few lots south in 1905; Palmer followed suit the next year (NRHP Apartments & Flats, 1983). 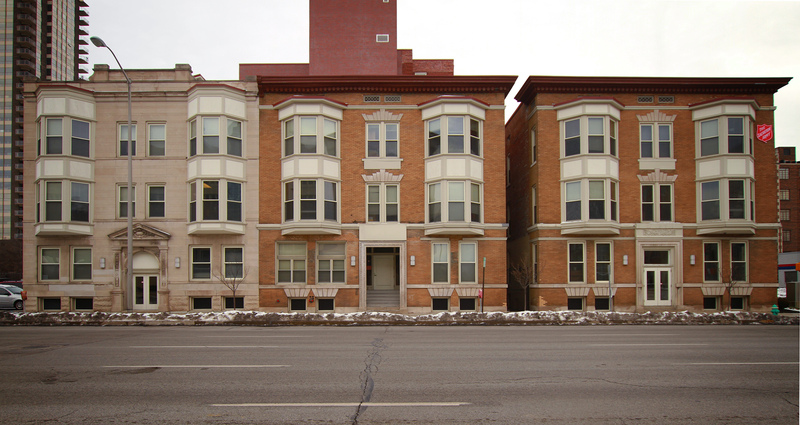 For $23,100, the two three-story buildings with six flats each were constructed by the Jungclaus construction company (NRHP Apartments & Flats, 1983). Across the street was the Girls Classical School, which made the area very popular for young socialites. In 1912, the Sylvania was sold for $41,500 to Aaron E. Carroll from Phillip Wilkinson (IndyStar, 6/23/1912). Five room flats went for $31-$37 a month in 1915 (IndyStar, 7/11/1915). Renovations occurred in the early 1980’s when the structures were in the nomination process for the NRHP. According to “Downtown Option Added,” by Joan Reilly, J. Scott Keller and Bob Beckman Jr. organized more than 50 craftsmen and subcontractors to renovate the property to its original state (Indianapolis News, 4/28/1981). Interior walls were removed to make it feel more modern; they also created master suites, great rooms, and laundry rooms. 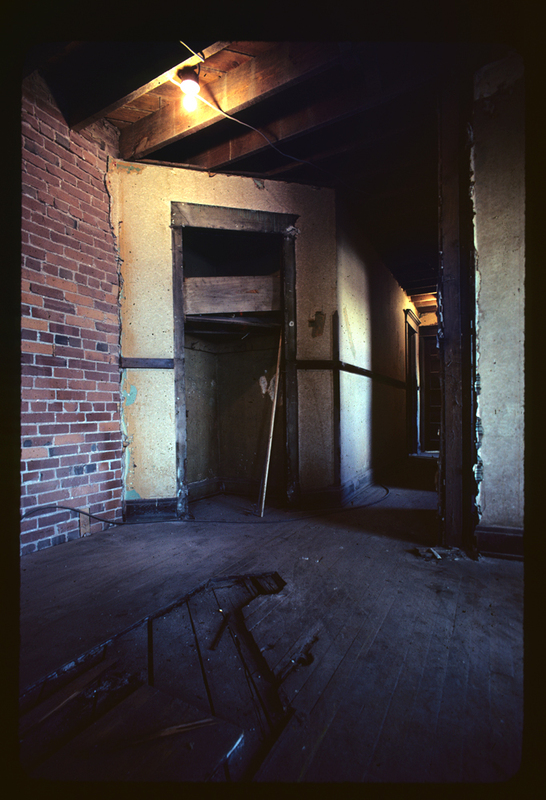 The apartments have restored original wood elements, brass lighting fixtures, an oak staircase, and brass chandeliers (Reilly, 4/28/1981). 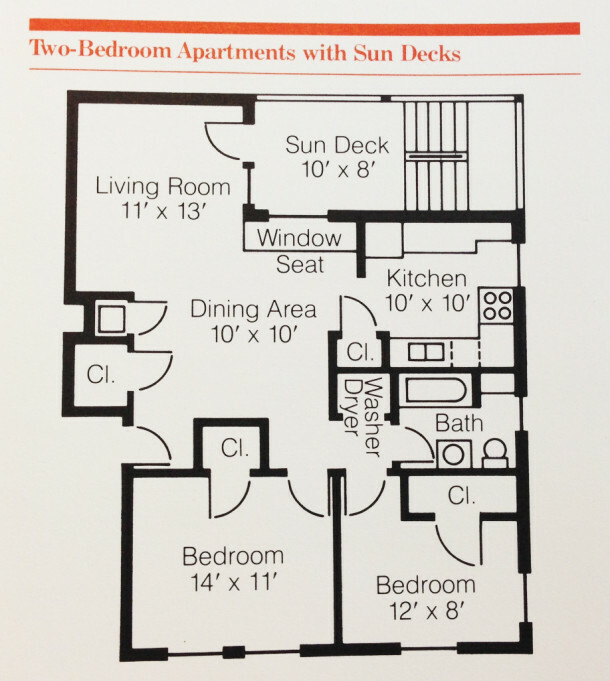 The renovations created 2 studio apartments, 1 one-bedroom apartment, and 13 two-bedroom apartments, for between $325-525 a month. Rents ran higher in buildings that required a total renovation, like the Sylvania (and the Wilson) according to an interview with Keller (“Keller: Rebirth of Old Buildings,” Steve Hall, Indianapolis News, 8/19/1982). Renovation costs ranged from $5,600 to $30,000 per UNIT in the early 1980’s. Boasting brick walls, hardwood floors, sun porches, and laundry rooms, the Sylvania is once again a desirable building in a desirable neighborhood. 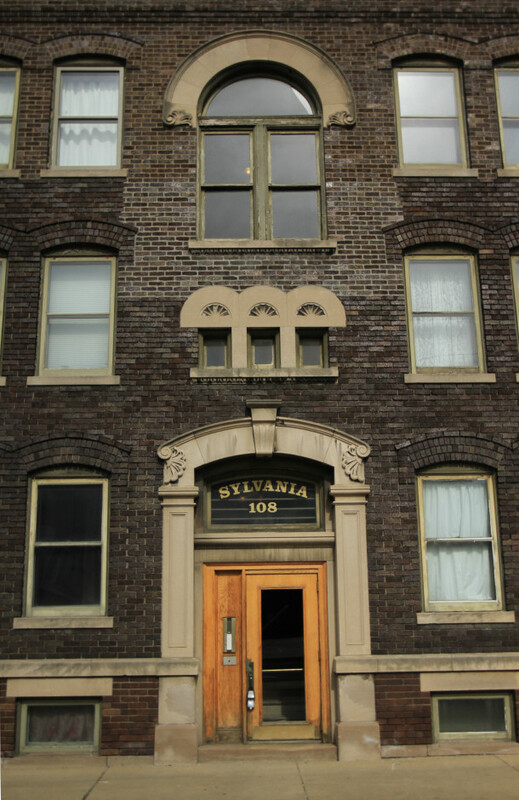 The Sylvania is comprised of two detached, slightly irregularly shaped buildings; the facade is made up of common bond glazed brick and carved gray limestone (NRHP Apartments & Flats, 1983). The Pennsylvania Street facade is made up of five bays, and the St. Clair Street facade is made up of seven bays. 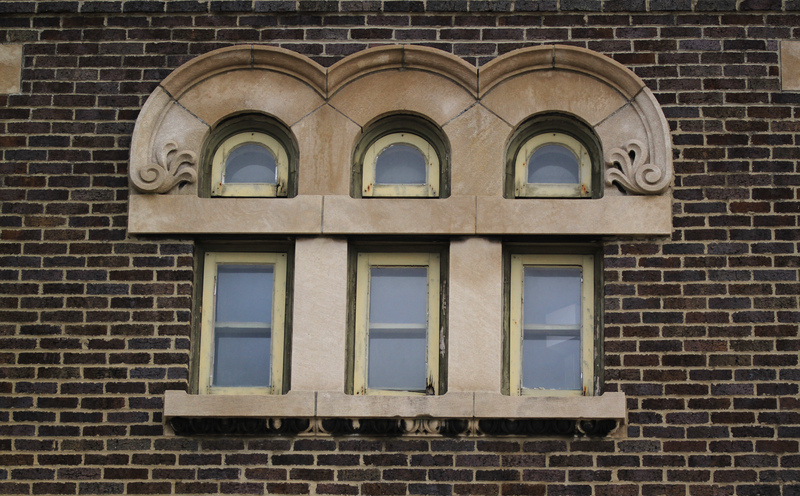 Carved gray limestone door and window surrounds exude a Renaissance Revival style – the scroll leaf motif is also repeated on the inside (NRHP Apartments & Flats, 1983). 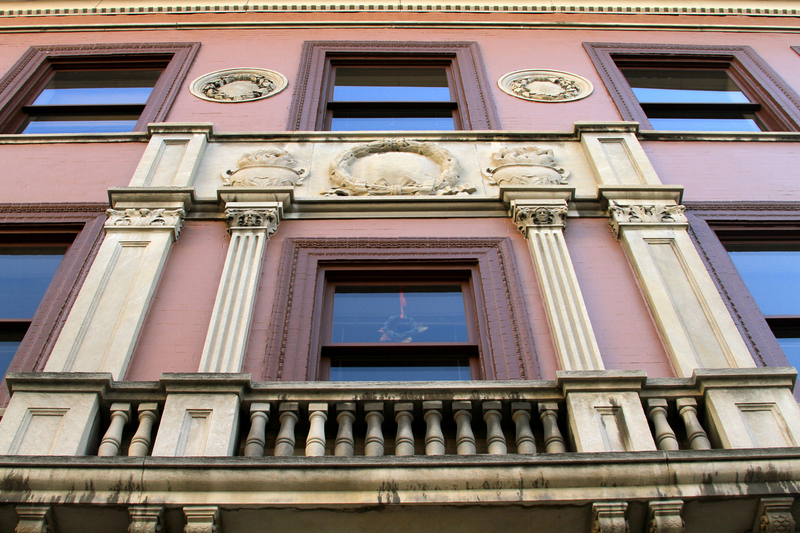 At one point, the building had pressed metal cornices. Today, the hardware and wood trim moldings survive. 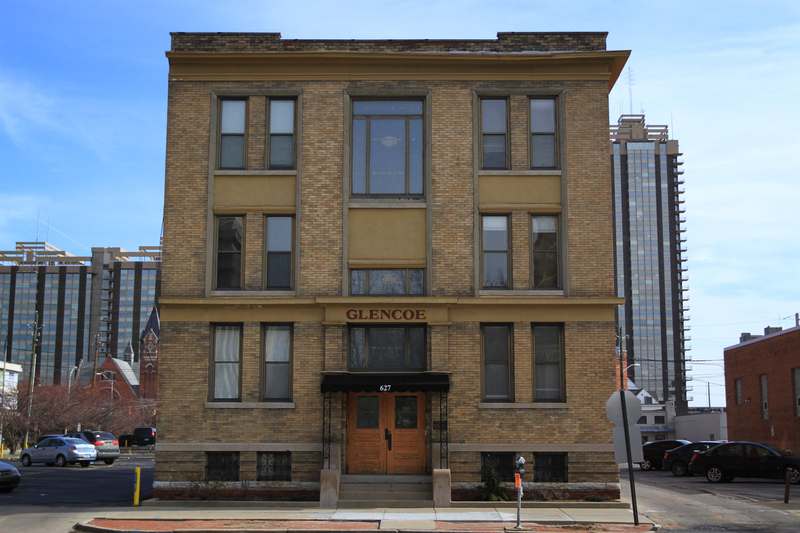 Two blocks south at 627 North Pennsylvania Street sits the Glencoe. 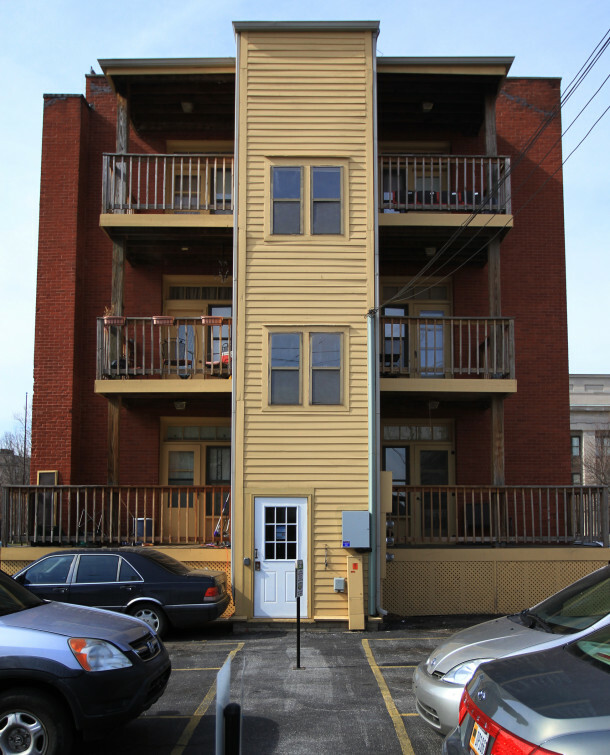 Built in 1902, this six-unit three-story structure is in the Eastern-flat style. Eugene A. Cooper was granted a building permit in 1901 (NRHP Apartments & Flats, 1983). Cooper, a New York native, built the Glencoe as an investment property (IHPC St. Joseph Historic Area Plan, 1991). He did live in the Blacherne with his wife for a short time. Residents of the area tended to be young and wealthy married couples – the area was very desirable due to the short distances from the downtown commercial area, War Memorial/park complex, Massachusetts Avenue, and multiple street car lines (IHPC St. Joseph Historic Area Plan, 1991). In 1909, six-room flats went for $45 a month (IndyStar 9/5/1909). A wave of crime hit the building in 1910-1911, when it was reported that the Glencoe had been robbed four times within the year (“Burglars Follow in Wake of Fourth,” IndyStar, 7/5/1911). 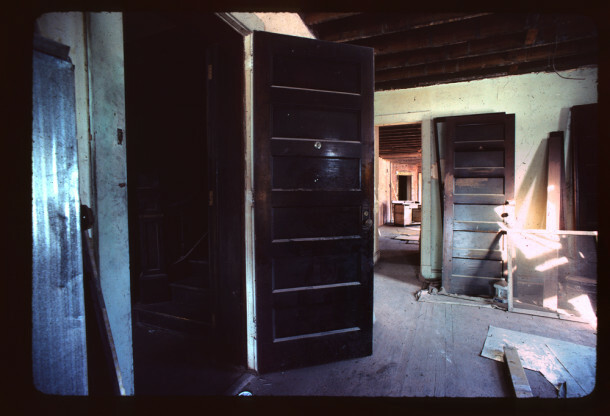 In the early 1980’s, renovations began on the Glencoe. Acquisition & Restoration Corp. intended to turn it into eight luxury apartments for $475-625 a month (“Glencoe Rebirth, Indianapolis News, 12/19/1983). 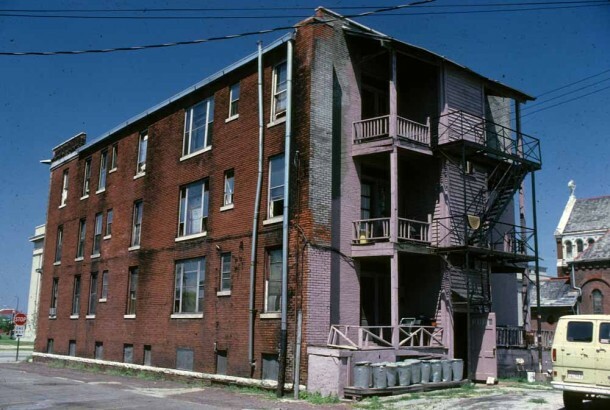 For $450,000, this structure that had recently held 24 sleeping rooms with common bathrooms, would be converted into two-bedroom, two bathroom units of about 1,300 square feet each (“Glencoe Rebirth,” 12/19/1983). A pamphlet by the Acquisition & Restoration Corp. boasts exposed brick walls, hardwood floors, 10 1/2 foot ceilings, individual sun decks, brass and porcelain bathroom fixtures, and pedestal sinks and stained glass in the bathrooms as highlighted features. Also of note are the great views of the War Memorial complex across the street. 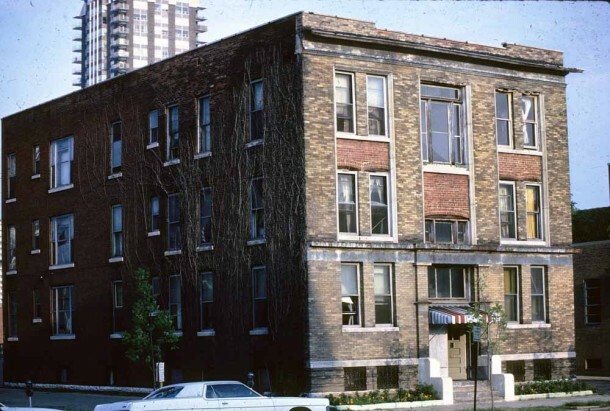 This three-story plus basement building has elements of Classical Revival style and some describe it as a simplified Chicago School style (NRHP Apartments & Flats, 1983). The three-bay facade contains yellow brick, a narrow limestone foundation course, and rough limestone sills; also of note are the brick pilasters flanking the entrance. 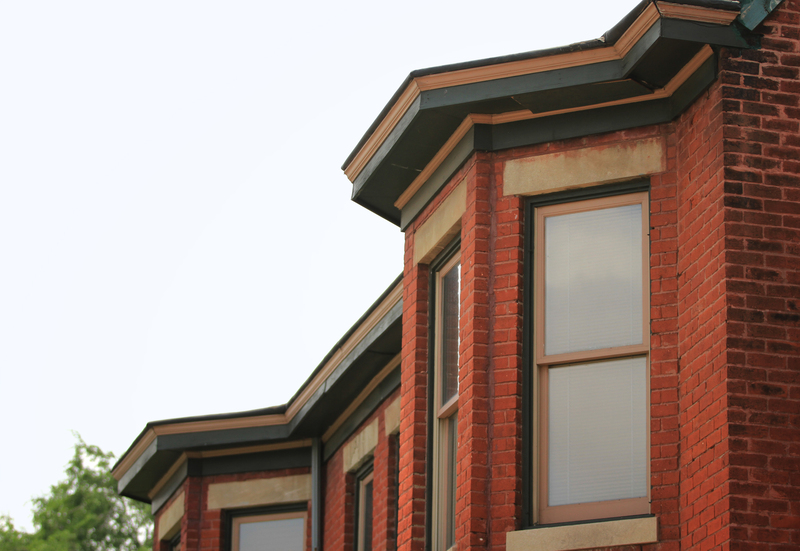 Above the classical metal cornice is a brick parapet (IHPC St. Joseph Historic Area Plan, 1991). Good article. Perhaps you should lead a walking tour of the area when the weather is better. That’s a great idea, Norm! Thanks for the support, Basil! 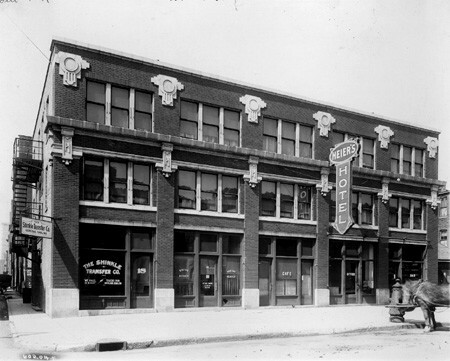 My investors and I restored 38 buildings in Downtown Indianapolis. Thank you for this article!